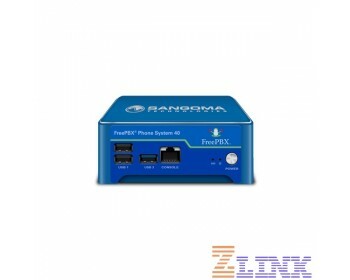 The FreePBX Sangoma 40 appliance has FreePBX Distro preinstalled along with a System Admin Pro license for 25 years. In this configuration the Appliance is recommended for up to 40 extensions and 30 concurrent calls. Featuring the FreePBX Distro, this appliance is an ideal fit for businesses looking to get more from a PBX. With millions of deployments throughout the world, FreePBX is relied upon daily by everyone from enterprises to start-ups. Leveraging the power of FreePBX has enabled businesses to grow while keeping communication expenses minimal. The FreePBX Distro has made deploying, configuring and using a PBX system easier than ever! With an easy-to-use GUI making implementing this device very easy.